This inspirational journal has beautifully designed pages to fill with your drawings, observations, poetry or anything else you like. There are facts, star charts and pictures of constellations to help you identify stars, and links to websites to find out more. 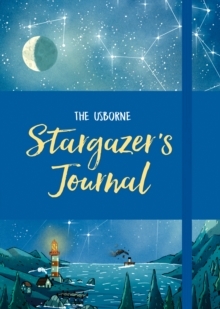 With beautiful illustrations, this is a journal for stargazers of all ages to treasure.